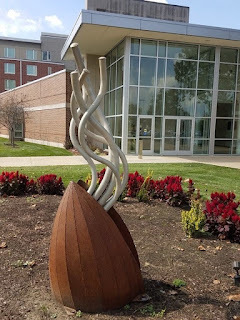 The Public Art League is proud to announce the purchase of Awakening (artist: Stephanie Sailer, Kingston, IL) by Fox/Atkins Development, LLC and the University of Illinois Research Park. 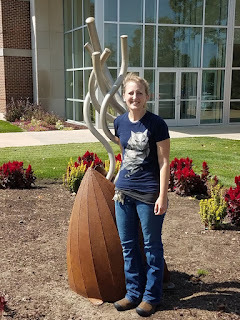 The piece is currently installed just East of the iHotel and Conference Center in Champaign. The artist states that "Awakening depicts a seedpod unfurling into new life. Tendrils are seen in a moment of unraveling as they stretch and reach toward the sky after winter hibernation. Each tendril arches toward the sun, slowly shifting from the hard, protective shell to the vibrant air above. As humans, we take part in this perpetual process but never truly see the simplistic beauty around us. Awakening is an attempt to enlarge the beautiful form of a seedpod and this first stretch of life to a size that allows us to view, acknowledge and appreciate. 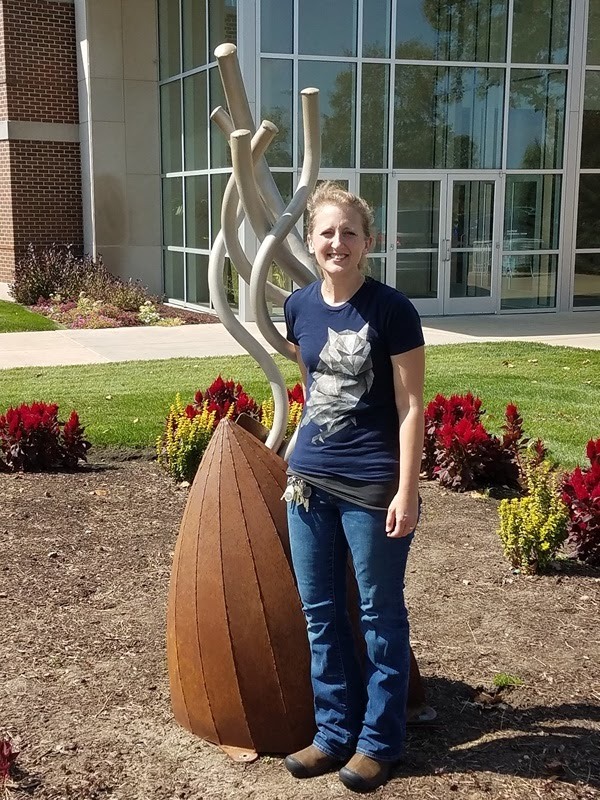 A big thank you to Fox/Atkins Development, LLC and the University of Illinois Research Park for bringing this sculpture to the community through the PAL program. The Public Art League proudly welcomes Meshed by Dean Allen Bloedorn (Lodi, WI) to the Illinois Terminal building in downtown Champaign. The piece was purchased by the Public Art League through a generous donation from Tod and Beth Satterthwaite. Tod, and friend Bruce Pea, also constructed the platform for Meshed. The artist states that "Meshed represents a finely tuned machine or mechanism mired or embedded in concrete. 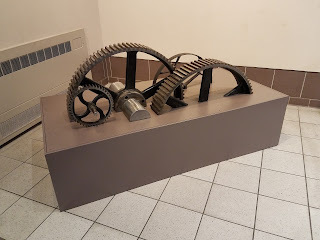 It may serve as a metaphor for any number of current events." 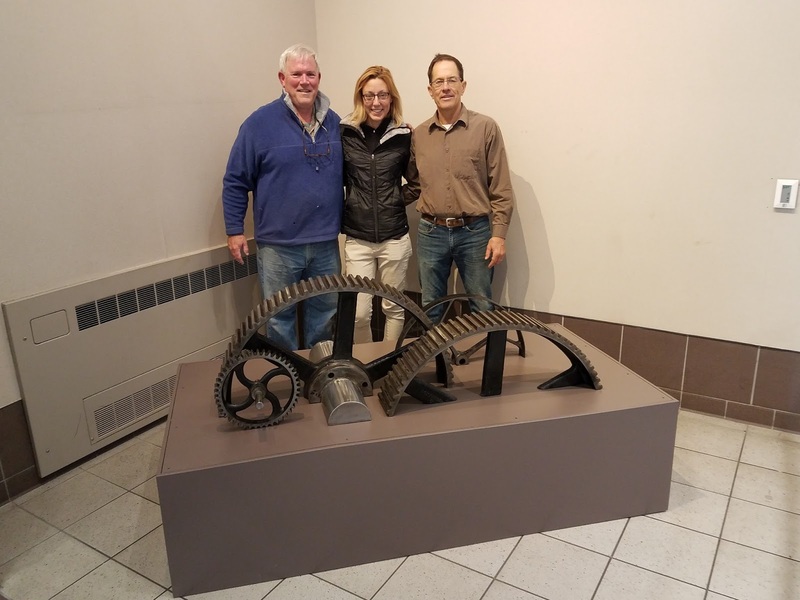 A big thanks go out to Tod & Beth Satterthwaite, the Champaign-Urbana Mass Transit District, and to all who made the purchase and installation of Meshed possible.